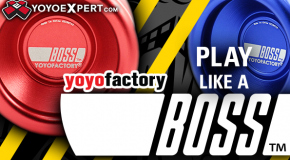 YoYoFactory Replay in Three New Colors! Easily tug responsive with a great size and weight, the Gentry Stein signature YoYoFactory Replay is one of our favorite entry level yo-yos! REPLAY AVAILABLE HERE! New YYF – Czech Point, Nightmare, & Responsive Replay!